The Next Step Trust, King Cross recieve �2,500 from St James's Place Foundation. The Next Step Trust received a boost to their fundraising campaign for a new hydrotherapy pool with a £2,500 donation. The money, from the St James’ Place Foundation, has boosted the running total to £12,338. Helen Fowler at the Next Step Trust, King Cross. 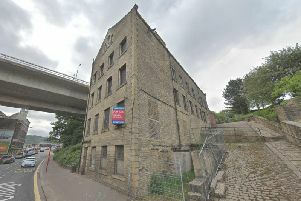 The Trust, based in King Cross, Halifax, provides day care and respite care for around 50 young adults with disabilities and was founded 12 years ago. It plans to build a hydrotherapy pool at one of its day centre sites, but the project is expected to cost around £150,000. Helen Fowler, lead support worker with the Trust, said: “We’re looking to move to a new property because we are so busy, and we may put the hydrotherapy pool in the new property. “We’ve been in discussion with the architect and had some plans drawn up. “We’ve been applying for grants and had a few donations. “We have some fundraising projects coming up this year. “Although we’d love to be able to raise all the money through grants, any donations we receive are very welcome,” she said. “It is a big target but we know these things are achievable. “It would be massive, life-changing, if we could achieve it, with all the advantages it would bring. The Trust only has access to only two hydro pools that are both at schools and are primarily used for their own students.